Despod's photo and comment blog. : Silhouette of the L.E. Emer in Cobh. Silhouette of the L.E. Emer in Cobh. 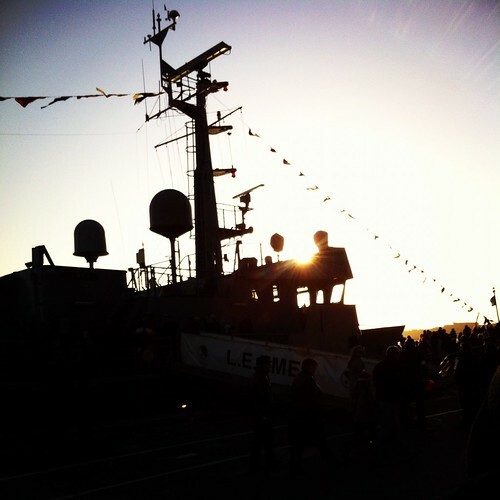 Silhouette of the L.E. Emer in Cobh., a photo by despod on Flickr. Posted by Des at 1/01/2012 07:24:00 p.m.
Look at the flares Ma !